I am very excited to have returned to my hometown of Amherst to serve as UMass Hillel's Executive Director. Previously, I served as Rabbi of Temple Sinai of Marblehead on the North Shore of Boston. I received rabbinic ordination at Hebrew College in Newton, MA as well as a Masters in Jewish Education. I met my wife Emily at Oberlin College. Some of the things I love to do are to explore the outdoors, garden, play music, study Jewish mysticism, and play with my children Emet and Sephira. My doors are open, come say hi! ​I joined the staff of UMass Hillel in 2014 after two years teaching at a Jewish Day School in Northampton, MA. Some of my other work experiences have been in Jewish environmental education at Teva and directing the arts programs at Seeds of Peace International Camp. Originally from the Pacific Northwest, I hold an MA in Performance Studies from NYU and a BA in Theatre from Willamette University. I have a wide range of passions, some of which include inspiring young people to live embodied Jewish lives, using theater to build connections across difference, and the role of religion in peace-making. In my free time I like to hike, read, cook, travel, and develop my ukulele skills. I am very excited to join the team at UMass Hillel as Director of Advancement. For the last 15 years, as a leader with Five Colleges, Incorporated and the Massachusetts Technology Collaborative I worked with diverse groups in higher education and state and local government to deliver large-scale technology initiatives with a focus on bridging the digital divide and bringing broadband to unserved citizens in western Massachusetts. I am now eager to turn my attention, skills and experience to work that is more personally meaningful for me. I have a B.A. in Geography from Clark University and a M.S in Geography and Women’s Studies from the University of Wisconsin-Madison. I live in Amherst with my husband, Steven, and my son, Nathan. Outside of work I enjoy swimming, cooking, reading, listening to music, puttering in the garden and of course going to all the high school chorale and theater performances. I look forward to getting to know Hillel students and supporters soon. Following our recent marriage and sojourn in Park Slope, Brooklyn, we are headed up to the Pioneer Valley to forage for souls and sparks of light as the new JLIC couple on the University of Massachusetts at Amherst. 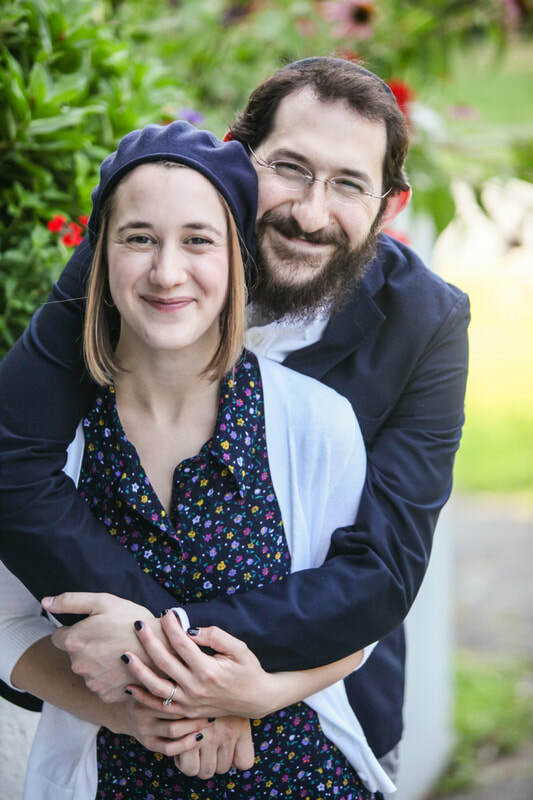 Raffi, who studied neuropsychology at the City University of New York, has shared his love of Torah, Tefilla and Chevra in different educational and communal environments, both here in the US and abroad. He has built conscious communities and has studied under some of the most renowned leaders and thinkers in the Jewish world today. Ariella, born and raised in prime suburbia of Great Neck, NY, is a graduate of Bernard Revel Graduate School of Judaic Studies with a Master's degree in (and love for) Medieval Jewish History. Ariella worked as a Curatorial Assistant at the Herbert and Eileen Bernard Museum of Judaica in New York City. We are looking forward to continuing the wonderful work of Rabbi Yosi and Dr. Sheera Eisen and to working with students and staff in helping create a vibrant community as beautiful as its setting. Ashley grew up in Indialantic, Florida and is very excited to move to the Northeast working at the University of Massachusetts Amherst as the IACT Birthright Coordinator! During her time at Florida Atlantic University (Go Owls! ), she was heavily involved as a member of Phi Mu Fraternity and her Greek community. After graduating, she took a flight to Israel as a participant on Masa Israel Teaching Fellows in Rishon Lezion. During her 10 months in Rishon, she taught English at an elementary school, which is one of her most rewarding experiences to date. Ashley is ready to get back stateside to help students find their Jewish identities and share her love of Israel! Assaf works at UMass Hillel as a part of the Israel Fellows program, which places outstanding young Israelis on key North American campuses to serve as peer ambassadors to the campus community. Assaf was born in the US and moved to Israel in 1993 . In Israel, Assaf served in the IDF as a combat commander and a training manager. After his service, Assaf studied Social Work for a B.A. at Ben Gurion University. 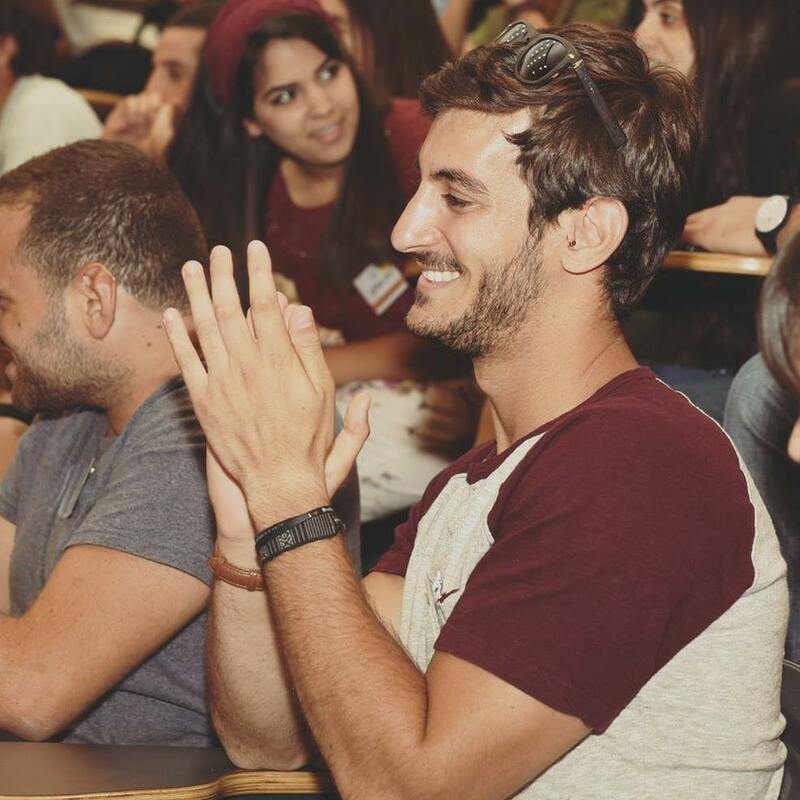 During his studies, Assaf was a part of the ‘Rothschild Ambassadors’ program which trains Israelis to become the next generation of Israeli leaders to promotes professional social action. Prior to his arrival at UMass Hillel, Assaf also took part in ‘the school for peace’, which trains future politicians, Israelis and Palestinians to be agents for change for future justice and peace. ​I am delighted to be joining the UMass Hillel staff as the Social Justice Fellow. I recently graduated from Brandeis University where I minored in social justice and helped to run an annual festival of social justice on campus. I can't wait to connect students with social justice opportunities, ranging from community service to activism to discussions. I am excited to explore the connection between social justice and Judaism with everyone at UMass Hillel and cannot wait to infuse conversations about equality and Jewish teachings into Hillel life. I enjoy spending my free time traveling, gardening, and spending time in nature. Come find me with any and all social justice-related ideas or questions! I am thrilled to be a part of the UMass Hillel team as Development Associate. I previously worked in Alumni Affairs & Development at Harvard University for over 11 years. I held a variety of roles during my time at Harvard, most recently serving as Assistant Director of Research and Prospect Management. I received my B.S. in Business Administration from Stonehill College and my M.Ed. in Administration of Higher Education from Suffolk University. Originally from Western Mass, I recently moved back to the area and live in Amherst with my husband, Jeff, and daughter, Emma. I enjoy spending time with family and friends, hiking, biking, traveling, and cooking. I am delighted to be a part of UMass Hillel's vibrant and engaged community and care deeply about its mission. I look forward to continuing to help make it a welcoming place of Jewish life for students on the UMass Amherst campus. I am responsible for all things related to the building's operations and maintenance. plus some budget and financial planning tasks. My background has been in the areas of energy management and conservation and business operations. Having lived in the Valley for 15 years with my wife and three sons, I enjoy coaching soccer, playing tennis, golf and hanging at the ocean. Be sure to stop by my office and say hi!